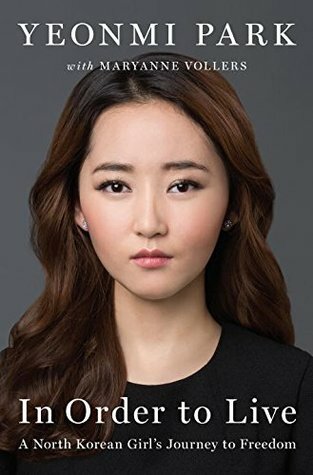 Born into a subsistence-level existence in North Korea, Yeonmi’s father, a smuggler of metals, is sent to a labour camp and her family struggle even more. When he is released, he is a broken man and dies quickly and quietly, leaving the family with no future. Yeonmi and her mother cross into China, leaving her sister behind. Once there, they are split up and sold several times, with Yeonmi becoming harsh and eventually trafficking other girls to survive. They became friends with another North Korean illegal immigrant and planned their escape. Almost in South Korea, they are found by Chinese and Korean missionaries who arranged for their passage and papers. Safe in South Korea, they enter a program to adjust North Koreans to life there. After several years Yeonmi goes to Costa Rica as a missionary with an American group. After publishing her story, Yeonmi and her mother are reunited with her sister, who had also escaped to China. This gives an insight into how North Korea is more than just a repressive country ruled by a fat dude with a bad haircut that threatens to launch nuclear weapons every time he has a bad day. The poop competition made me laugh though. I had never thought about how defectors are integrated into South Korea and found the re-education program interesting. Heart-breaking, horrific, yet inspiring; this is a powerful book that everyone should read. It’s amazing how Yeonmi can still smile and fight for the humans rights of others. Ever wondered where the native flora and fauna of New Zealand came from? Were they here from time out of mind, or did they migrate from somewhere else? And where was that somewhere? George Gibbs, a former lecturer in Biology at Victoria University, tries to answer these questions. He also explains why it is so difficult to provide decent answers: a rather poor fossil record. However, there have been some new and exciting developments in Central Otago that Gibbs dips into. 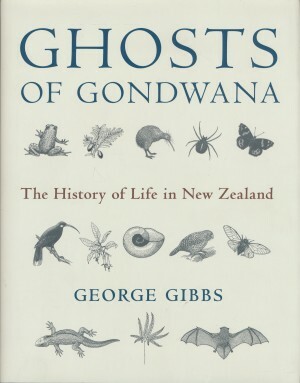 Gibbs has divided the book into four sections: unique Aotearoa, seeking explanations, explanations for New Zealand life, and made in New Zealand. The section titles are obvious: New Zealand has a decidedly unique bioscape, from a scientific point of view this needs to be explained, some theories work better than others for different plants or animals, and there are the biota that that define New Zealand and nowhere else. Thus Gibbs takes us on a journey through plate tectonics, the disintegration of Gondwana, the slow drowning of the mini-continent of Zealandia and the ridge islands that extended as far as New Caledonia, as well as the competing theories as to what happened here geographically speaking. Throughout the telling, it becomes obvious that New Zealand shares a considerable amount of its biological ancestry with Australia, southern South America, and the currently under-inhabited Antarctica. I enjoyed this book immensely. Gibbs’s style is easy for the curious layman to follow, and key concepts are explained both verbally and with the aid of diagrams. By the end of it not only did I feel an almost instant expert, but was filled with a desire to contribute to the discussion. Buy it.